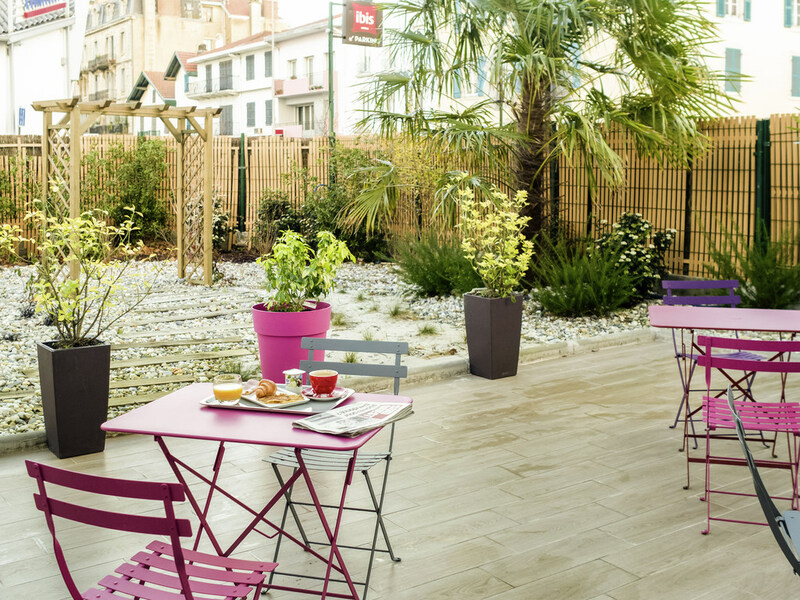 The entire team at the ibis Bayonne Centre hotel wishes you a warm welcome. Take a weekend to discover a city of art and history, key elements of Bayonne heritage. The flavors of the Basque Country are sure to tantalize your taste buds. Located on the banks of the Adour and close to the St. Esprit train station district, the ibis Bayonne Centre hotel is the perfect base from which to discover this sumptuous city and its rich history. Take a stroll and enjoy the cathedral with its ramparts and famous arenas. The hotel has been fully renovated and is equipped with the new Sweet Bed by ibis bedding, ensuring the ultimate in comfort. It also features a landscaped terrace where you can sample our cocktails. Located on the banks of the river Adour in the Saint-Esprit area, 980 yards from the center of Bayonne. 3.7 miles from Biarritz. Our bar is open every day from 11am to 2pm and from 6pm to 10:30pm.